The error was pointed out by the trial judge who said it was “serious” and a “very significant issue”. A MAN FOUND guilty of abusing his daughter has had his conviction quashed over a factual error in his barrister’s closing speech to the jury, which was not permitted to be corrected by the trial judge. The man, whose details cannot be published to protect the victim’s identity, pleaded not guilty to two counts of sexually assaulting his daughter in the south-east of the country on 30 and 31 January 2015. He was found guilty by a jury at Waterford Circuit Criminal Court and sentenced to three years imprisonment with the final year suspended by Judge Eugene O’Kelly on 12 December 2016. The Court of Appeal quashed the man’s conviction today, holding that the trial judge should have permitted the man’s barrister to reopen her closing speech to the jury, after she had made a factual error on the evidence. Giving judgment in the three-judge court, Mr Justice Patrick McCarthy said the prosecution case was reliant on the complainant’s uncorroborated evidence. He said the jury also heard evidence from the complainant’s mother and stepfather. The mother’s evidence was that the complainant had told her, shortly after the incident, that her father had “touched her in the private parts”. The stepfather’s evidence was that the complainant had told him that her father was “trying to touch her in the private parts”. In her closing speech to the jury, the man’s barrister apparently believed that “the daughter had complained (to her mother) that the dad had simply tried to touch her in the private parts”. However, the mother’s evidence had been that the man had actually touched her in the private parts, Mr Justice McCarthy said. He said the man’s barrister, in her closing speech to the jury, put emphasis on what she understood to have been the evidence of the complainant’s mother. However, her understanding was erroneous. 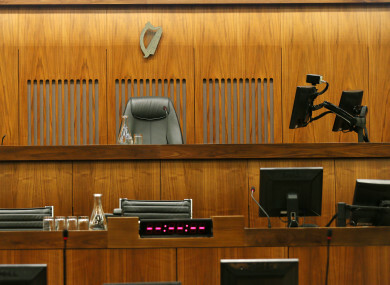 Defence counsel told the jury that what the complainant had said to her mother, shortly after the incident, was “radically different” to what the complainant had said to the gardaí two weeks later. He told counsel that it was “such an important feature of your closing speech that the jury may very well have been impressed by it, and of course it’s factually not correct”. Counsel applied for a discharge of the jury out of concern for the fairness of the trial, but the trial judge refused. The barrister then asked the judge to permit her to rectify the error by further addressing the jury, but that didn’t happen. The trial judge gave the jury an accurate account of the evidence and told them that the consistency of the complainant’s accounts was a matter for them to assess. He told them to consider the consistency or otherwise of the accounts the complainant gave to her mother, her stepfather and the Gardaí. Mr Justice McCarthy said, generally, when counsel makes an error, the client will be “fixed with it and any consequences”. He said counsel would not in general be permitted to resume a speech which has been concluded for the purpose of a correction or due to an omission. In this case, he said the trial judge should have taken the exceptional step of permitting defence counsel to reopen her speech. He said the trial judge fell into error by refusing the application because of the seriousness and significance of the error and the place it had taken in the defence case. The credibility of the complainant was fundamental and anything inconsistent with her version of events took on a particular importance, the judge said. Mr Justice McCarthy, who sat with President of the Court of Appeal Mr Justice George Birmingham and Ms Justice Isobel Kennedy, said the court regarded the man’s conviction as unsafe and unsatisfactory. The court will hear arguments on whether a retrial will be appropriate at a later date. Email “Man found guilty of abusing his daughter has conviction quashed over his barrister’s error in closing speech”. Feedback on “Man found guilty of abusing his daughter has conviction quashed over his barrister’s error in closing speech”.